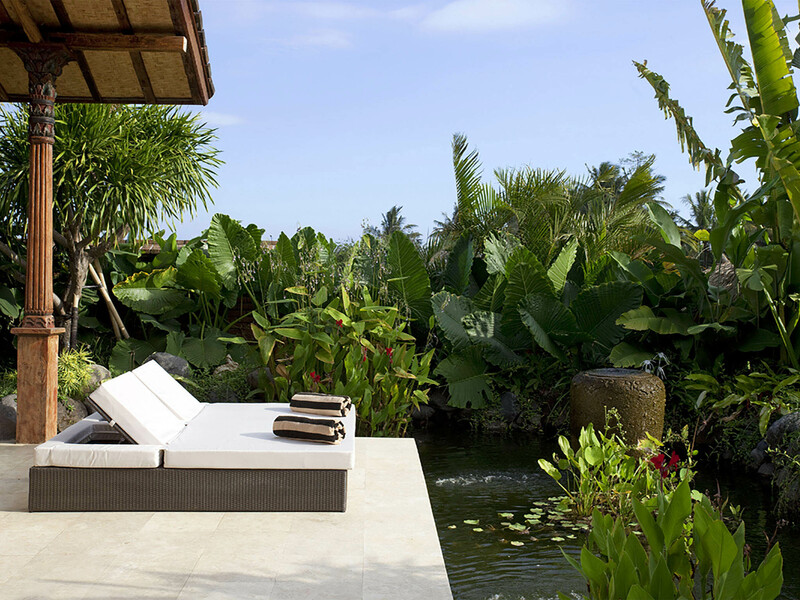 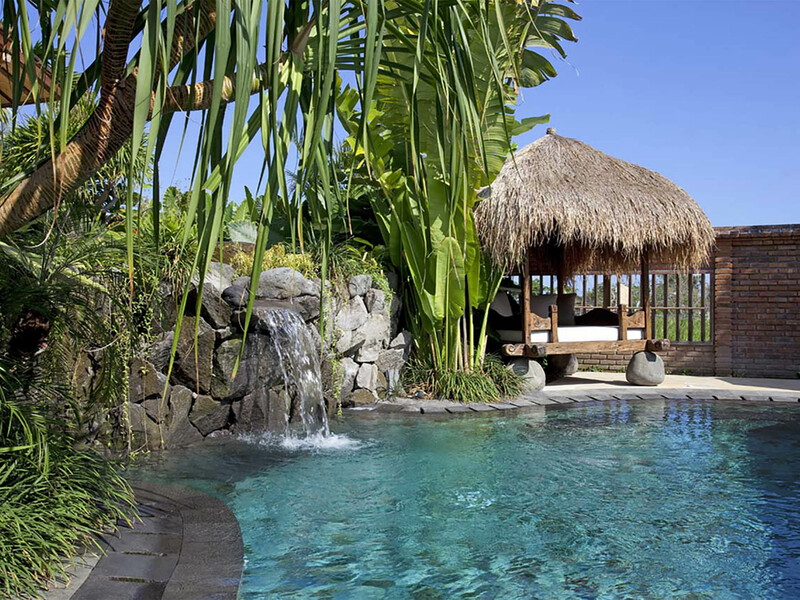 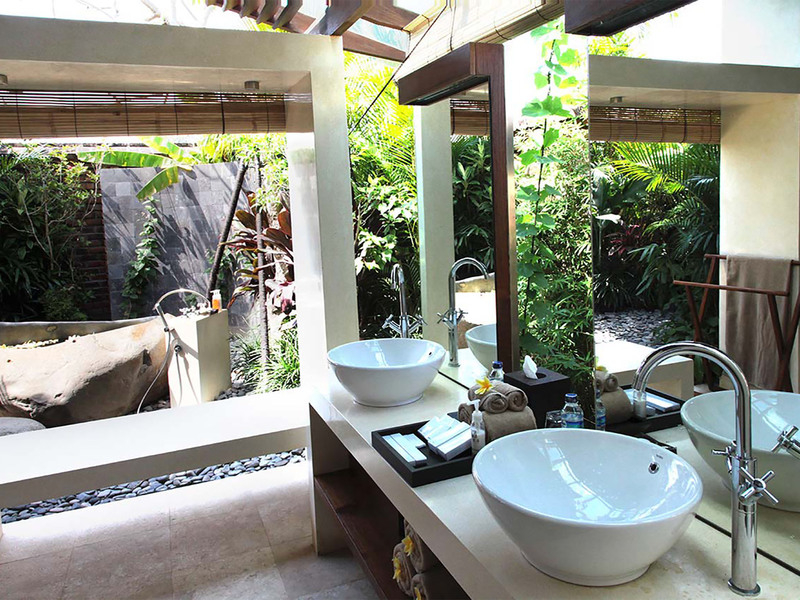 Five minutes from Berawa Beach and only 15 minutes from the buzz of Seminyak is a romantic three-bedroom villa that promises guests a unique tropical holiday experience. 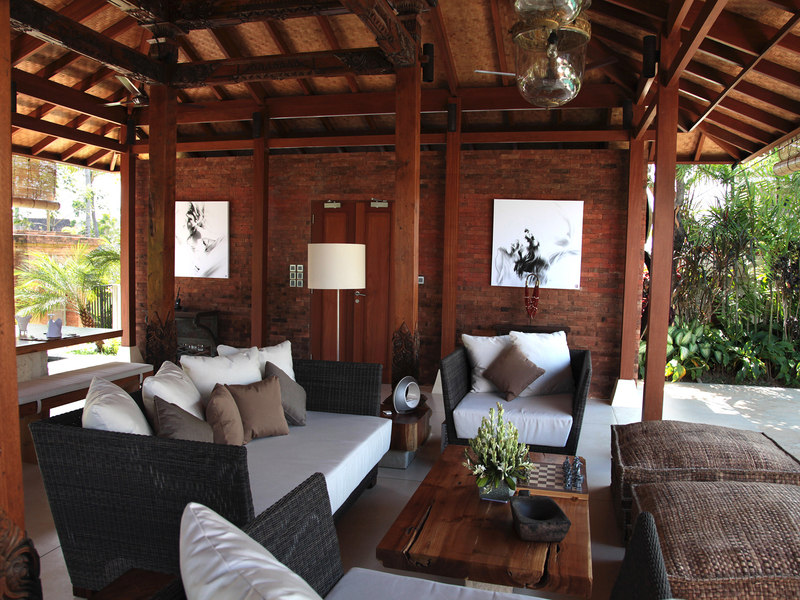 Villa Amy’s contemporary interpretation of heritage chic is inspired. 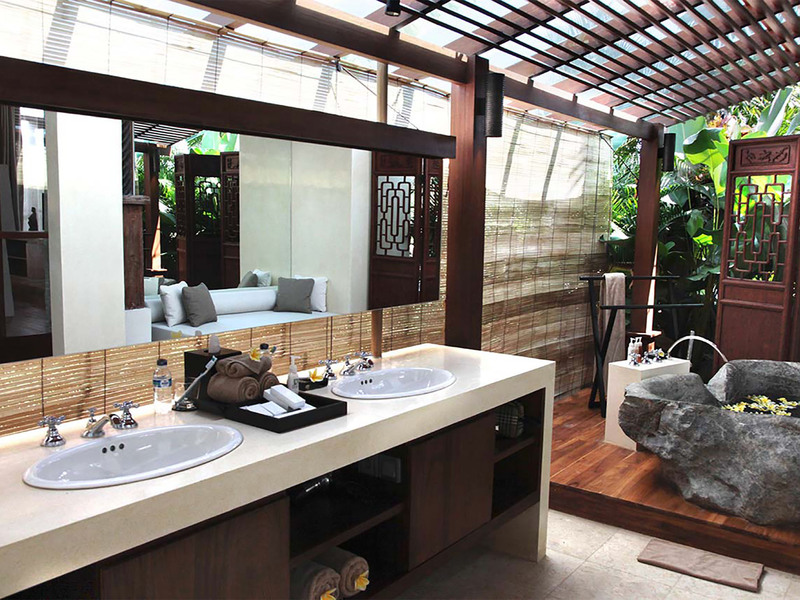 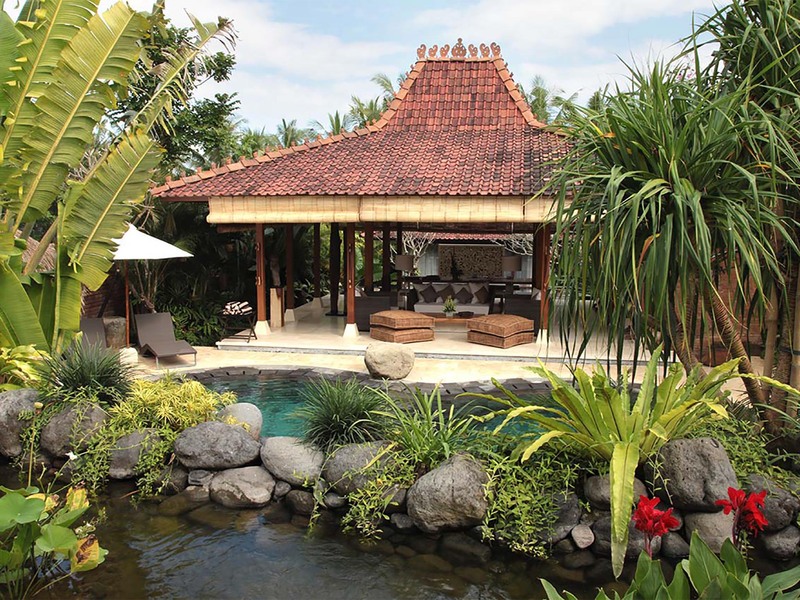 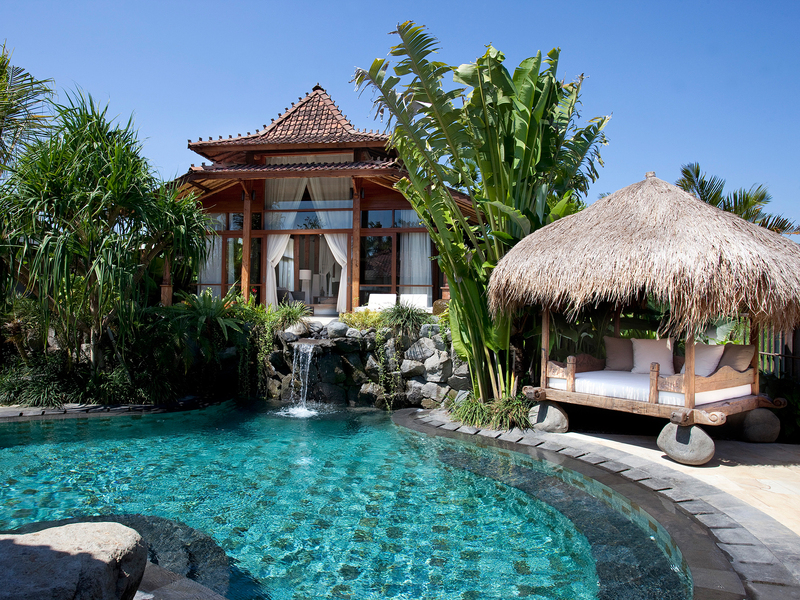 Oriented for privacy on separate terraces edged by cascading pools and lily ponds are three pavilions – all antique Javanese joglos with their four-pillar carved teakwood core, full of the owner’s oriental and Indonesian curios and collectibles. 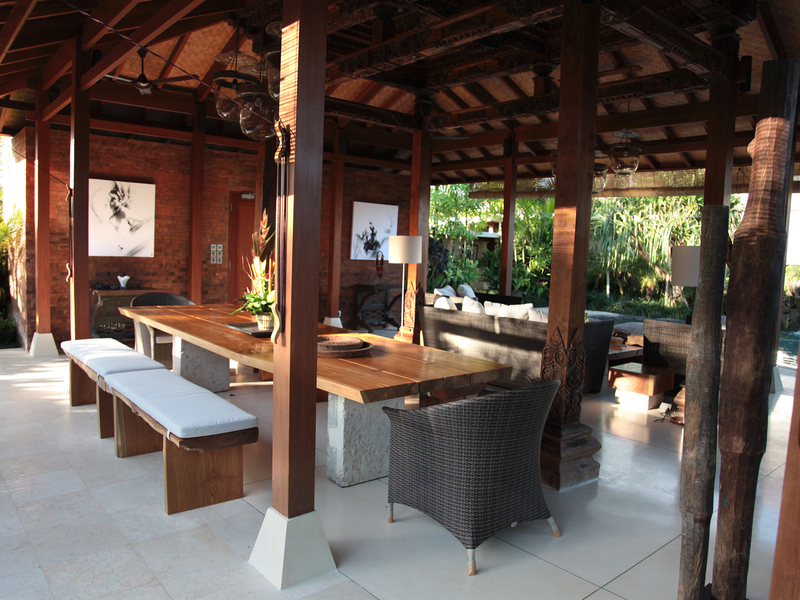 Their interiors are brought bang up to date with soaring glass sliding doors, glamorous furniture, and the iPod docks, TVs and other bells and whistles of 21st Century living. 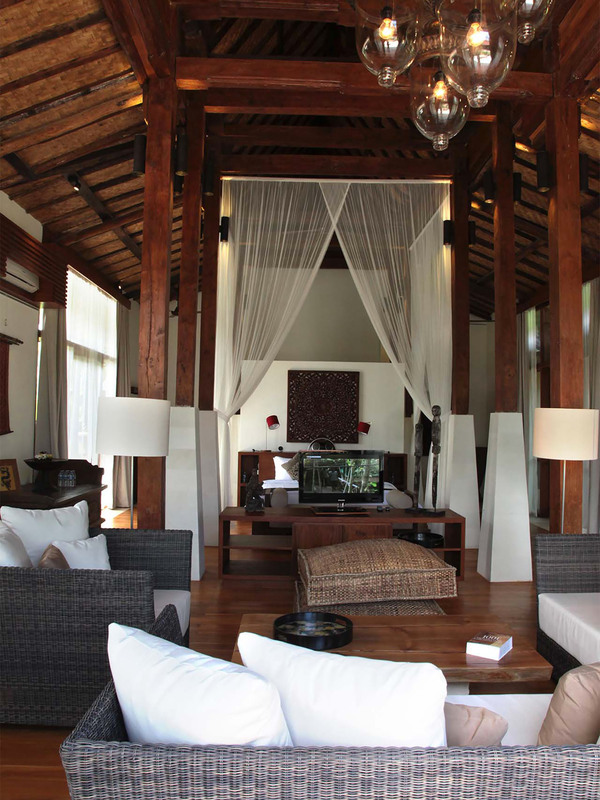 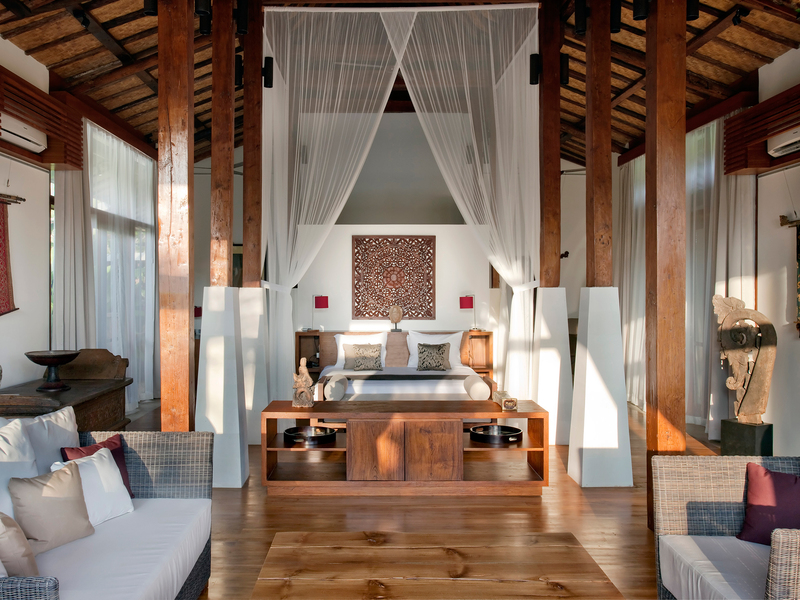 Whether swimming in the free-form pool fed by a waterfall, gazing over the rice fields from the shade of the balé, or watching a film in the air-conditioned comfort of the bedroom, Villa Amy offers many corners for quiet time as well as social interaction. 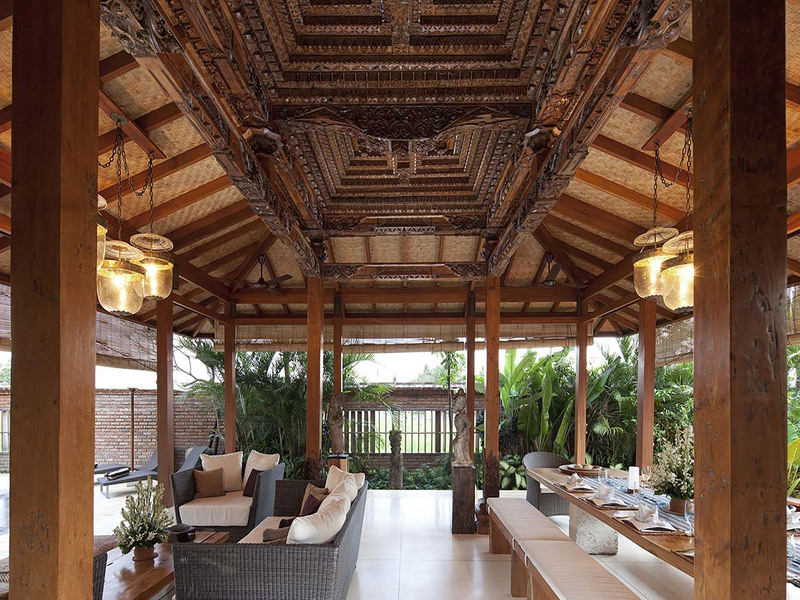 As one of four villas in the exclusive Dea Villas Estate, it also accords its guests a range of facilities that few Bali villas can offer. 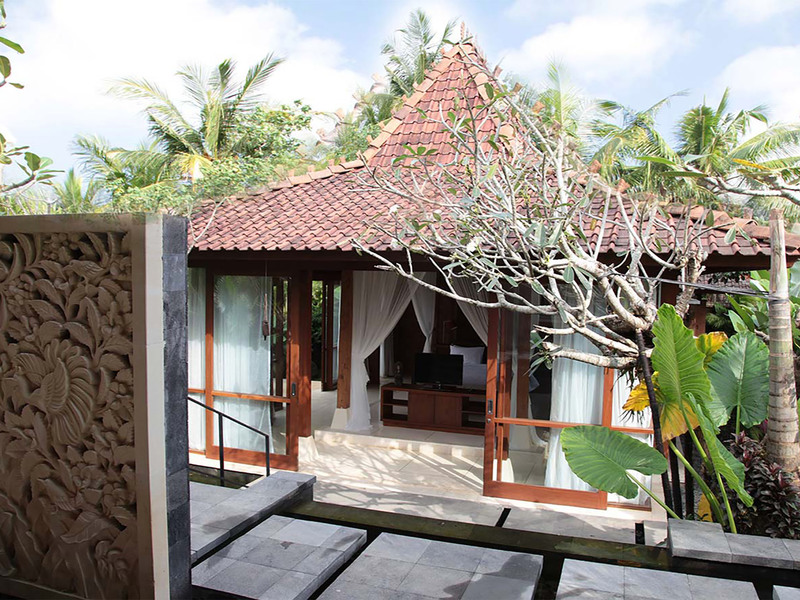 Where else could you wobble off the calories on a Powerplate in a professionally equipped air-conditioned gym, work up a sweat in the sauna and then pop into the dedicated spa for a deliciously choreographed four-hand massage? 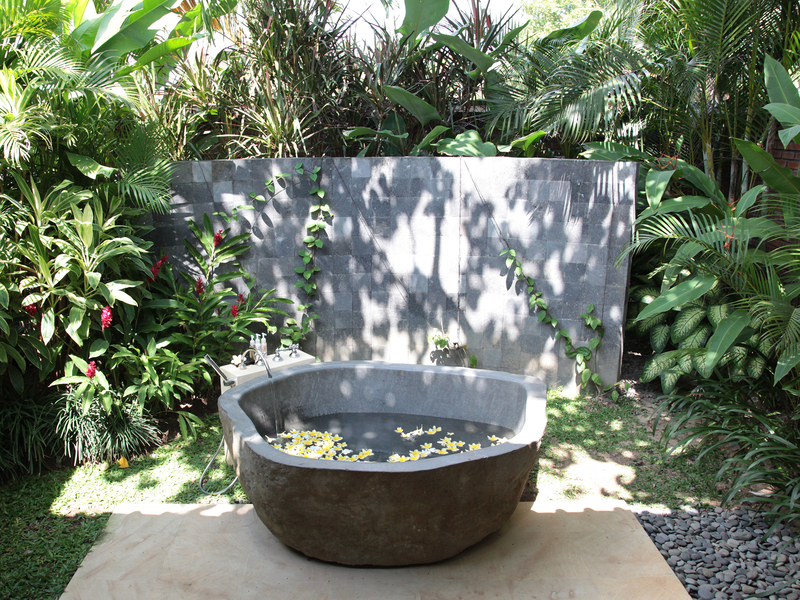 And all that while the kids let off steam on swings and slides in the playground? 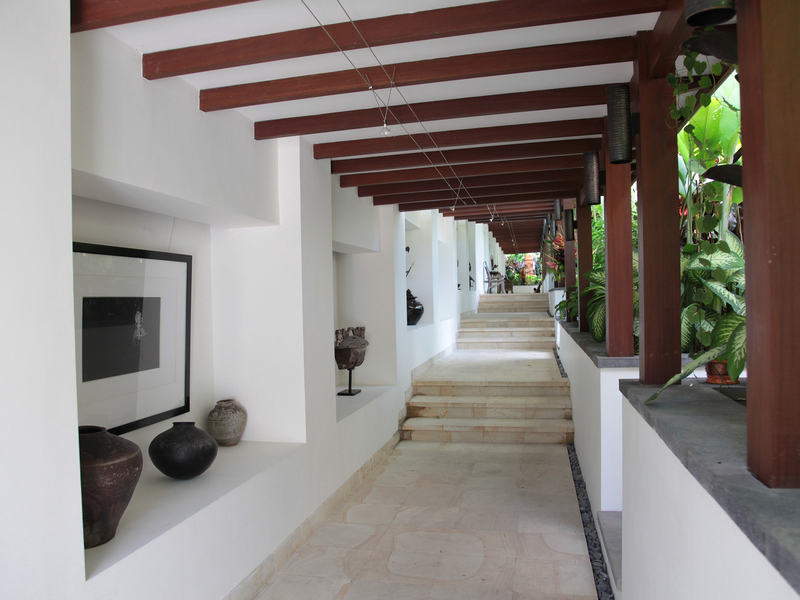 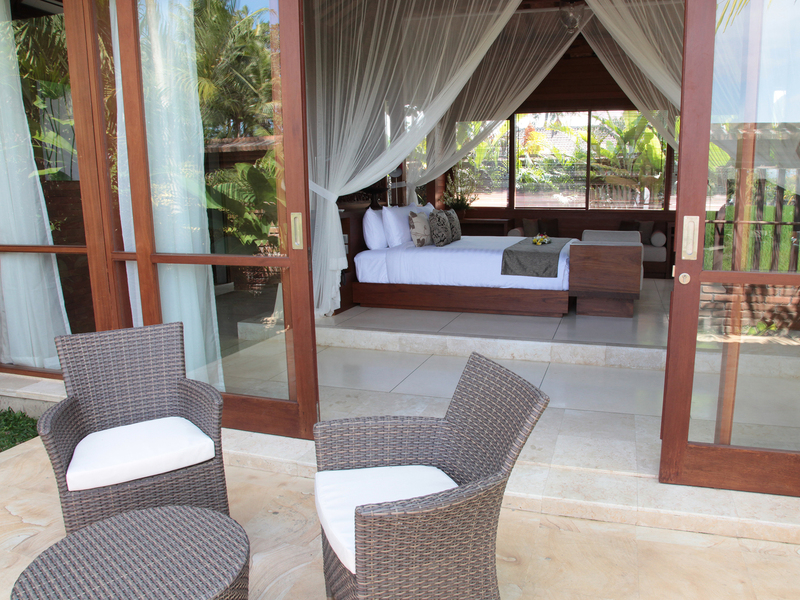 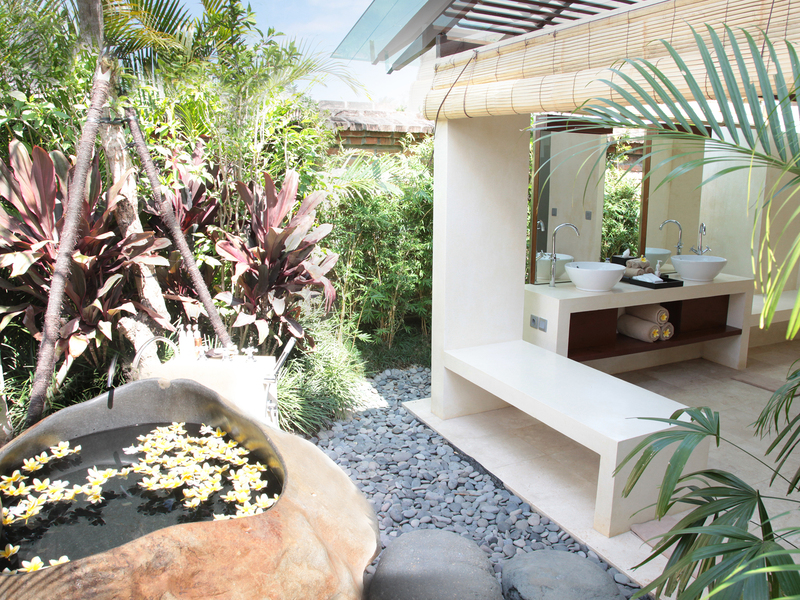 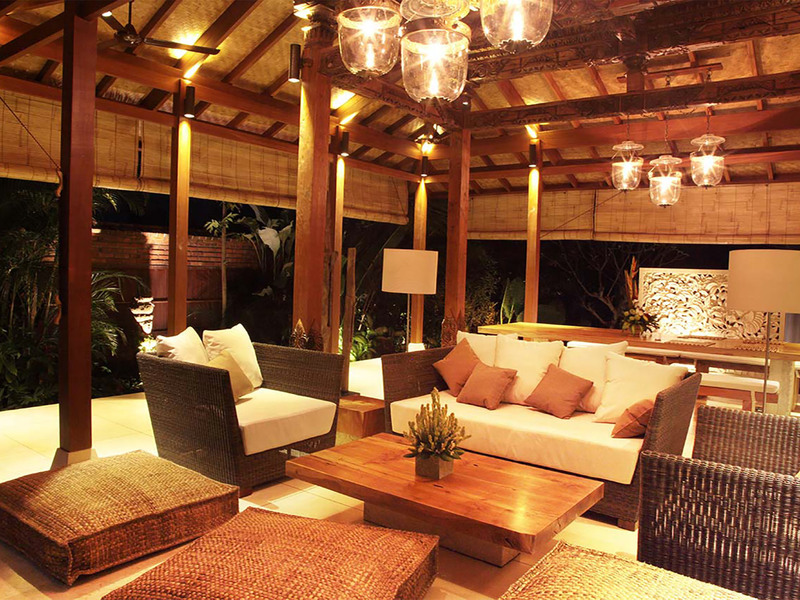 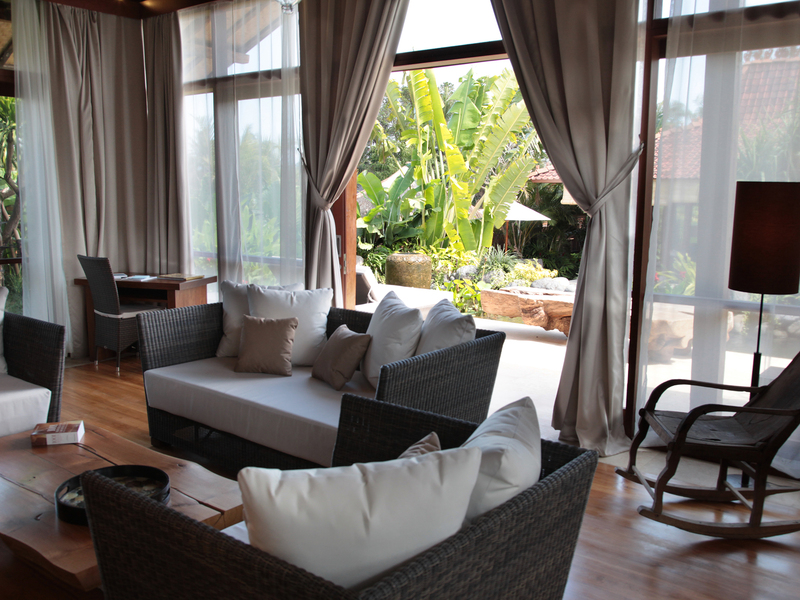 Villa Amy guests also enjoy an exemplary level of service. 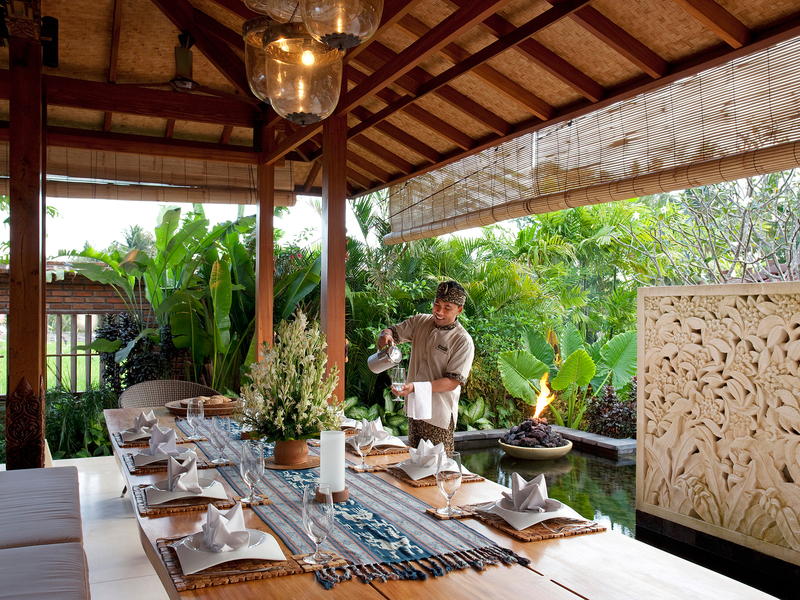 Among the 29-strong staff that serves Dea Villas are butlers working in shifts 24/7, and three chefs who are dab hands at creating everything from poolside snacks to gourmet dinners from a reasonably priced menu. 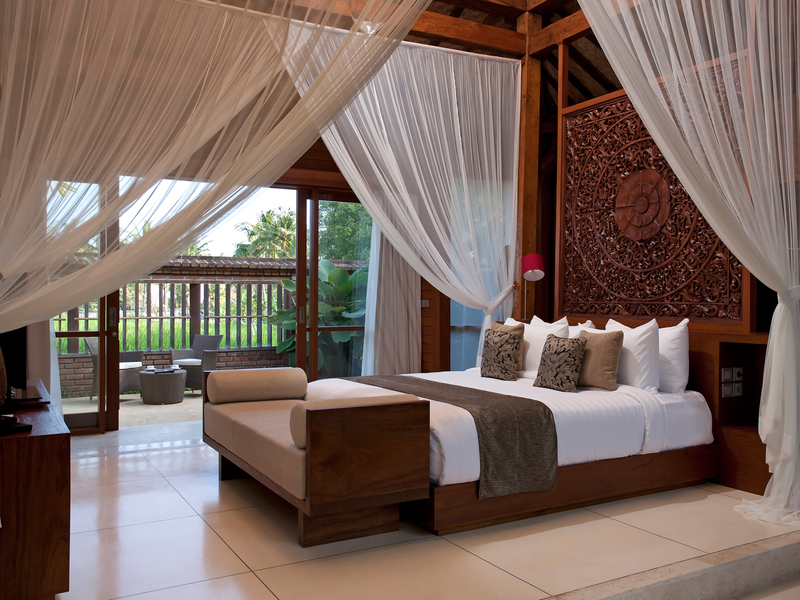 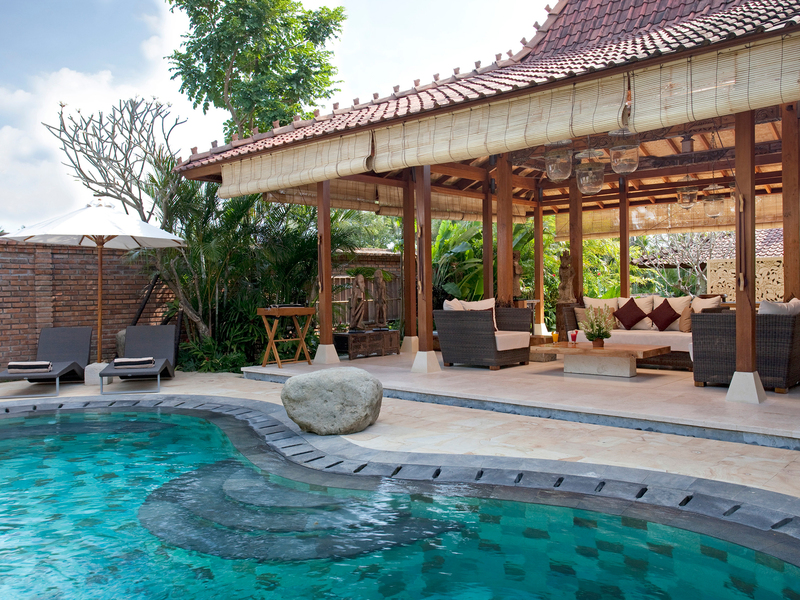 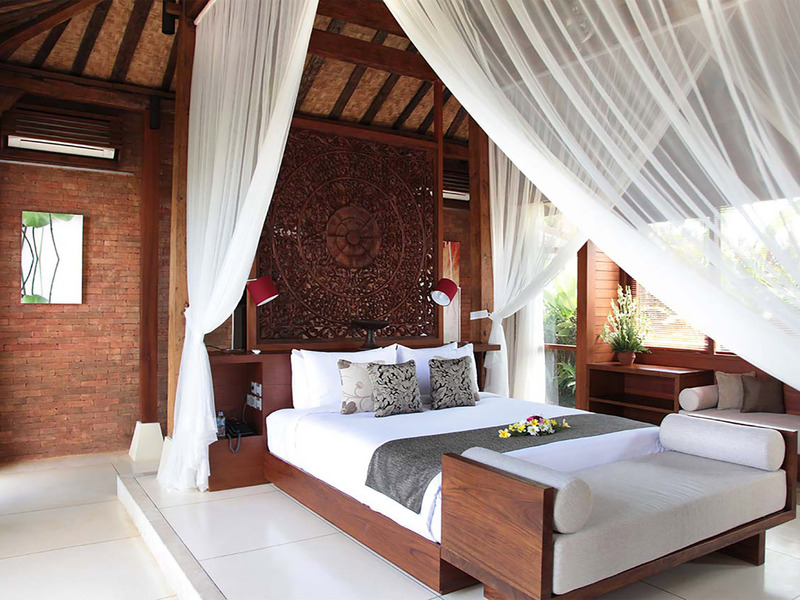 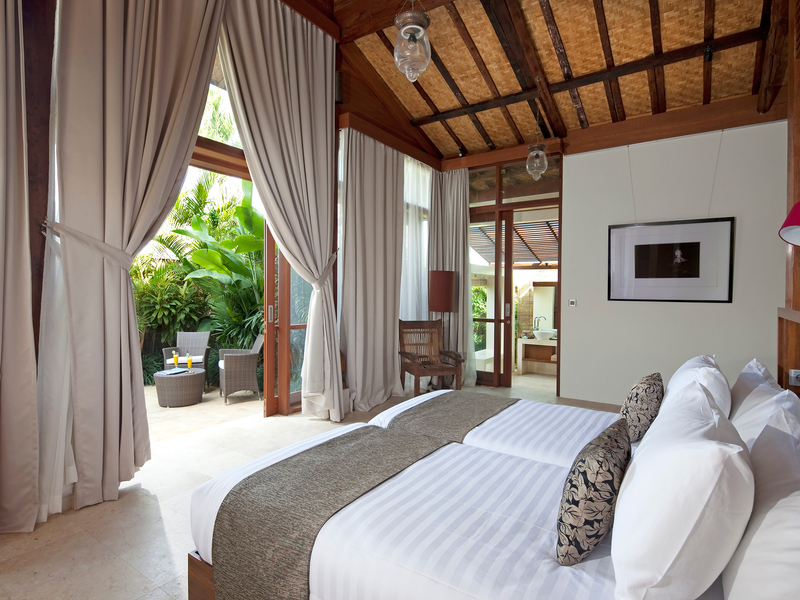 While Villa Amy would suit a family, a few couples – even honeymooners who’d like a little more space for themselves, it can also be rented in conjunction with any (or all) of the three other Villa Radha (one bedroom), Villa Sarasvati and Villa Sati (both four bedrooms). 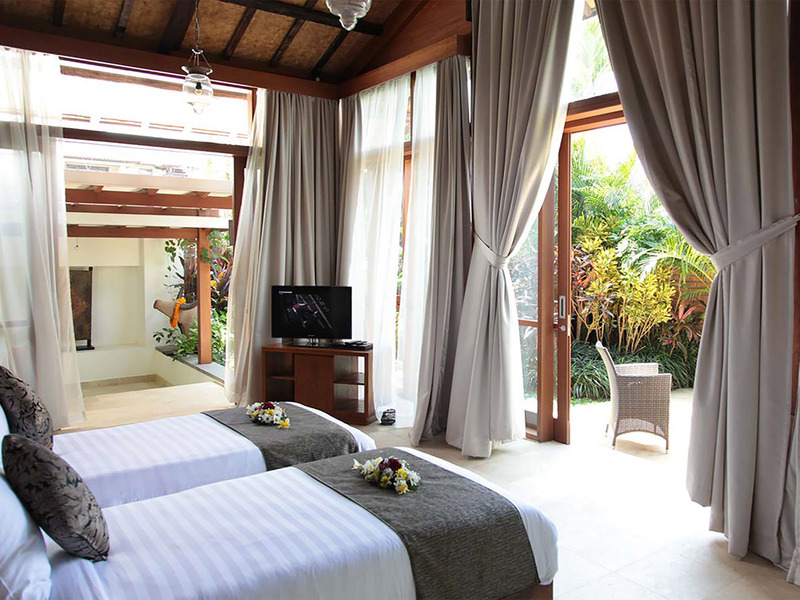 Between them, the four villas have a total of 12 bedrooms for 24 people (with 8+ extra beds possible), offering the flexibility of different combinations for multiple families holidaying together, large groups of friends and wedding parties (see also the Dea Villas official website for details).